Exelon could close three nuclear plants in northern Illinois, which together power the equivalent of 5.5 million homes in the region. Exelon issued the warning about the potential for “early retirement” of its Byron, Dresden and Braidwood nuclear stations in a Feb. 8 Securities & Exchange Commission filing. 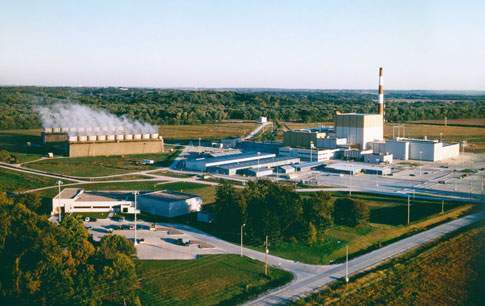 Braidwood, located in Will County, and Byron, near Rockford, have operating licenses from the Nuclear Regulatory Commission that don’t expire until the late 2040s. One of Dresden’s two reactors in Grundy County is licensed until 2029 and the other until 2031. Dresden, Byron, and Braidwood nuclear plants in Illinois are showing increased signs of economic distress, which could lead to an early retirement, in a market that does not currently compensate them for their unique contribution to grid resiliency and their ability to produce large amounts of energy without carbon and air pollution. The earliest the company could move to shutter Dresden is 2021. It’s committed to operating Dresden until June 2021 with regional grid managers. But Dresden bid was too high to qualify for “capacity” payments from consumers in northern Illinois in the most recent auction held by PJM Interconnection, which is responsible for managing wholesale power markets in all or part of 13 states and the District of Columbia from Illinois east to the mid-Atlantic. The earliest Exelon could move to close Byron and Braidwood is mid-2022. Those plants have committed with PJM to operate until then. That gives the state some time to determine what to do about potential closures. Springfield could act on wide-ranging energy legislation as early as this session, but its timetable depends at least in part on actions not yet taken by federal energy regulators. PJM has proposed changes to its capacity auction—how it determines prices all consumers and businesses pay to plants for their promise to produce during the highest-demand periods of the year. State energy regulators have criticized those proposals as “punishment” for Illinois’ 2016 decision to subsidize two other Exelon-owned nukes that were slated to close, its Quad Cities station on the Mississippi River and its Clinton plant in central Illinois. If the Federal Energy Regulatory Commission approves PJM’s changes, the state could well move to take over the responsibility of adequate power generation from PJM. In the short term, it’s highly unlikely that Exelon would be permitted to close all three plants should it come to that. The loss of all three could well jeopardize adequate power supplies to the nation’s third largest city. But recent capacity auctions have made clear that northern Illinois enjoys a glut of power supplies currently. The closure of a single nuke clearly wouldn’t jeopardize that. Pennsylvania Governor Tom Wolf has signed an executive order to reduce carbon pollution 26 percent by 2025 and 80 percent from 2005 levels by the year 2050. The executive order is designed to strengthen the state’s Alternative Energy Portfolio Standard, which requires state utilities to purchase certain amounts of power from alternative sources. In Pennsylvania, one important energy resource that is necessary to achieve Wolf’s goals is the continued use of nuclear power throughout the commonwealth. The reductions needed to achieve an impact on the threat of climate change are not possible without embracing every source of carbon-free energy, including the energy provided by our existing fleet of nuclear power plants. Nuclear power plays an enormous role in Pennsylvania’s energy landscape. The state’s five nuclear power plants produce 93 percent of the state’s carbon-free electricity, rendering the resource mission-critical to decarbonization. Moreover, Pennsylvania is second in the nation, behind Illinois, in nuclear power generating capacity and has one of the largest networks of suppliers and businesses supporting the industry throughout the world. To further underscore the vital role nuclear power plays, the state’s five nuclear power facilities help prevent 37 million tons of carbon pollution annually. That is equivalent to taking 8 million passenger cars off the road, which happens to be about the same as the number of registered vehicles in the state. Despite the importance of nuclear power to Pennsylvania’s clean energy future, the Three Mile Island and Beaver Valley Generating Stations will shut down beginning this year. And the state’s three remaining nuclear power plants are on a trajectory to prematurely close. Unfortunately, this may only make it harder to meet the carbon-reduction goals. Across the country when nuclear energy facilities are closed, they are most likely to be replaced by carbon-emitting sources. For Pennsylvania families not only may this lead to worsening air quality, but also the loss of up to 16,000 direct and related jobs supported by the existing nuclear power plants. Gov. Wolf’s plan to reduce carbon pollution will be more difficult to achieve without the carbon-free power delivered by Pennsylvania’s existing nuclear power. Maintaining the state’s nuclear fleet is key to achieving his decarbonization goals in the most expedient and cost-effective way possible. Wolf’s executive order puts the state in a league with 20 other states that already set targets. The order is nonbinding and does not require future governors to follow it after Wolf leaves office when his second term ends in 2023. Making major progress will likely require agreements with the Republican-controlled Legislature. A 180-page draft plan produced in November by Wolf's administration gives a roadmap for how to achieve the emission-reduction goals. The biggest cuts, it says, would come from boosting the use of renewable energies, creating incentives to expand electric vehicle use and keeping nuclear power generation at current levels. President Trump has signed S. 512, the Nuclear Energy Innovation and Modernization Act (NEIMA), into law. The senators cosponsoring the bipartisan nuclear legislation include: Senators John Barrasso (R-WY), chairman of the Senate Committee on Environment and Public Works (EPW) and committee ranking member Tom Carper (D-DE), along with Shelley Moore Capito (R-WV), Sheldon Whitehouse (D-RI), Jim Inhofe (R-OK), Mike Crapo (R-ID), Deb Fischer (R-NE), and Joe Manchin (D-WV). require the NRC to establish performance metrics and milestones for licensing and other regulatory actions. equire the commission to develop a regulatory framework for America’s innovators, who seek to deploy advanced nuclear technologies. direct the NRC to establish a pilot project to provide uranium producers predictable fees for routine licensing matters. 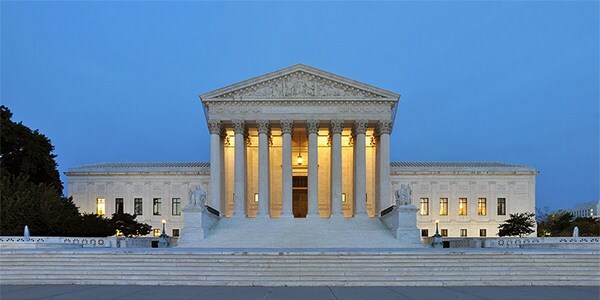 Several power producers joined the Electric Power Supply Association (EPSA) on Monday in petitioning the U.S. Supreme Court to review appellate court rulings upholding the New York and Illinois zero-emission credit programs. EPSA on Jan. 7 petitioned the Supreme Court for writs of certiorari to review both decisions. The group was joined on the 2nd Circuit petition by NRG Energy, with the New York Public Service Commission and Exelon — and its three New York nuclear plants — named as defendants. Calpine joined the 7th Circuit petition in the case against the Illinois Power Agency, the Illinois Commerce Commission and Exelon. Exelon’s Byron Generating Station’s two nuclear reactors in Illinois produce more than 2,300 MW of electricity. The New York PSC created the ZEC program in August 2016 as part of its Clean Energy Standard, which set a goal of reducing greenhouse gas emissions by 40% by 2030. The 2nd Circuit said that ZECs, like renewable energy credits, are certifications of an energy attribute separate from the purchase or sale of wholesale energy. Although the ZEC program “exerts downward pressure on wholesale electricity rates, that incidental effect is insufficient to state a claim for field pre-emption under the” Federal Power Act. The court noted that the PSC avoided the defects of the Maryland contract for differences, which required the generator to participate in PJM’s capacity market. But EPSA attacked ZECs from a different angle in its petitions. “The question presented is whether the FPA pre-empts only state subsidies that explicitly require a wholesale generator to sell its output in FERC-approved auctions, or whether the FPA also pre-empts state subsidies that lack such an express requirement but that, by design, subsidize only generators that sell their entire output via such auctions, thereby achieving the same effect,” both petitions said. The California Public Utilities Commission (CPUC) yesterday (July 26) made an adjustment to an agreement where ratepayers would pay $3.3 billion, or 70 percent, of the $4.7 billion decommissioning costs of the shuttering of the San Onofre nuclear plant. Subsequent lawsuits and events showed clearly that the closing of the plant was caused by management mistakes. Yesterday’s meeting trimmed only $750 million from ratepayer costs. Duane Arnold Energy Center in Palo, Iowa’s sole nuclear power plant, will shut down in late 2020 — five years sooner than the current power purchase agreement between NextEra Energy Resources and Alliant Energy. That agreement, which requires approval from the Iowa Utilities Board, means the plant is expected to cease commercial operations in 2020. Alliant’s agreement with NextEra originally was set to run until 2025. Duane Arnold, which first began producing power in 1975, is located about nine miles northwest of Cedar Rapids and is one of the larger employers in Linn County with 500 highly skilled employees. As part of the new agreement, Alliant will make a $110 million buyout payment to NextEra in September 2020. 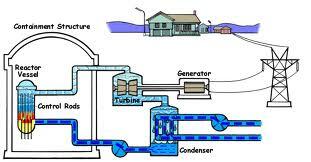 That payment will cover the costs of shortening the power purchase agreement by five years. Alliant said it had planned to submit an application to the Iowa Utilities Board to receive approval for the buyout. In its request for proposals for zero carbon energy released Tuesday evening, the Department of Energy and Environmental Protection (DEEP) said it would let energy producers try to convince regulators they're "at risk" of closure before 2022. That could boost Millstone's proposals, as they'll be scored on environmental and grid benefits along with price. DEEP's decision means as early as 2019, Millstone could potentially gain an advantage over facilities competing in the RFP, which is open to hydropower, solar and wind producers. Just a few weeks ago, DEEP said it wouldn't consider facilities "at risk" until 2023, igniting outcry from lawmakers and warnings from plant owner Dominion Energy that without full consideration of Millstone's benefits in the zero carbon market next year, the plant could face premature closure in a wholesale market dominated by natural gas. Regulators created the "at risk" designation and let Millstone compete in the zero carbon RFP after state-hired consultants said premature Millstone closure would spark heavy job losses, grid unreliability and spikes in greenhouse gas emissions from replacement power sources. Millstone's two operating units are licensed until 2035 and 2045. Dominion in May submitted a petition for "at risk" treatment with the Public Utilities Regulatory Authority (PURA), which included a full accounting of Millstone's audited financials. PURA is the agency that regulates the rates and services of utilities and telecommunications companies in the state. PURA signaled in July that Millstone could be "at risk" earlier than DEEP believed. PURA urged DEEP to "consider permitting more flexibility in its bidding and evaluation requirements" and to evaluate "on a case-by-case basis ... whether and when a resource is 'at risk.'" Fuel security and economic impact were also among the factors weighed by regulators evaluating proposals from "at risk" facilities. By October, PURA must determine whether confidential financial data turned over by Dominion proves Millstone is in financial peril. DEEP says it will pick winners among zero carbon companies by late 2018 or early 2019. PURA will approve final contracts between energy producers and utilities by spring of 2019. 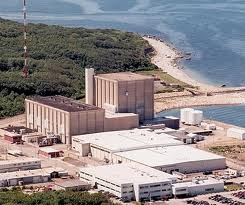 Entergy Corp. has agreed to sell the subsidiaries that own the Pilgrim Nuclear Power Station in Plymouth, Massachusetts, and the Palisades Power Plant in Covert, Michigan, after their shutdowns and reactor defuelings, to a Holtec International subsidiary for accelerated decommissioning. The sales include the transfer of the licenses, spent fuel, and Nuclear Decommissioning Trusts (NDTs), as well as the site of the decommissioned Big Rock Point Nuclear Power Plant near Charlevoix, Michigan, where only the Independent Spent Fuel Storage Installation (ISFSI) remains. The transactions are subject to conditions to closing, including approvals from the U.S. Nuclear Regulatory Commission (NRC) of the license transfers. Entergy is seeking regulatory approvals to sell its subsidiary that owns the shutdown Vermont Yankee site by the end of this year. Arizona Renewables Ballot Initiative Violates Single Subject Rule? 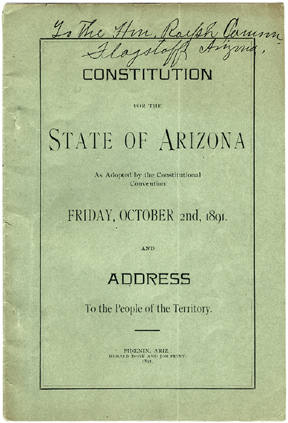 The Arizona Constitution contains a separate vote requirement provision that applies only to initiated constitutional amendments. This requirement states that multiple amendments must be voted on separately. Arizona features rules preventing multiple changes to the constitution from being included in one initiated constitutional amendment. The People of Arizona declare their intention that the provisions of this Constitutional Amendment is held invalid for any reason, the remaining provisions of this Amendment shall be severed from the void portion and given the fullest possible force and application. 3. An owner of a renewable energy credit or distributed renewable energy credit may transfer such credits to another party. Such a renewables credit transfer authorization basically establishes an alternative for meeting the annual renewable energy resources requirement. There isn't much guidance in the transfer clause so there could be wide interpretations as to how participants can meet their annual renewable energy requirements. The bottom line is that the credit provision appears to violate the Single Subject Rule. 1. Each affected utility shall be required to satisfy an annual renewable energy requirement by obtaining renewable energy credits from eligible renewable energy resources. 3. An affected utility that trades or sells environmental pollution reduction credits or any other environmental attributes associated with KWH produced by an eligible renewable energy resource may not apply renewable energy credits derived from that same KWH to satisfy the requirements in this section. The initiative clearly recognizes the transfer as being similar to Cap and Trade programs. The important point is that it is a separate issue item that violates the Single Subject Rule. House Bill 2005 (HB 2005) was designed to make violations of the Renewable Energy for a Healthy Arizona Amendment a civil penalty, meaning electric utilities that violate the standard would be fined between $100 to $5,000. On March 21, 2018, the Arizona State Senate passed the bill 16-12. On March 22, 2018, the Arizona House of Representatives approved the bill 34-24. Governor Doug Ducey (R) signed the bill on March 23, 2018. The measure would require electric utilities that sell electricity in Arizona to acquire electricity from a certain percentage of renewable resources each year. The amount would increase each year from 12 percent in 2020 to 50 percent in 2030 and each year thereafter. The measure would define renewable energy to include solar, wind, biomass, certain hydropower, geothermal, and landfill gas energies. Note: If the cost of noncompliance is cheaper than the cost of compliance, entities will pay the fines.